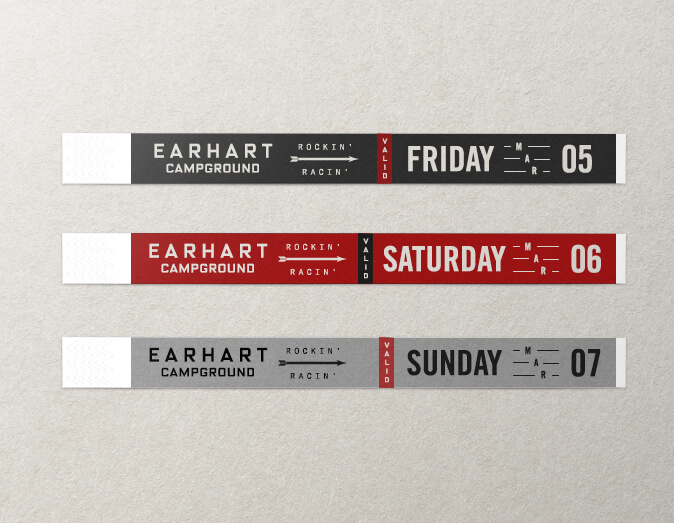 CraterDust has worked with Earhart Campground on their annual racing event, Rockin’ & Racin’, for several years. 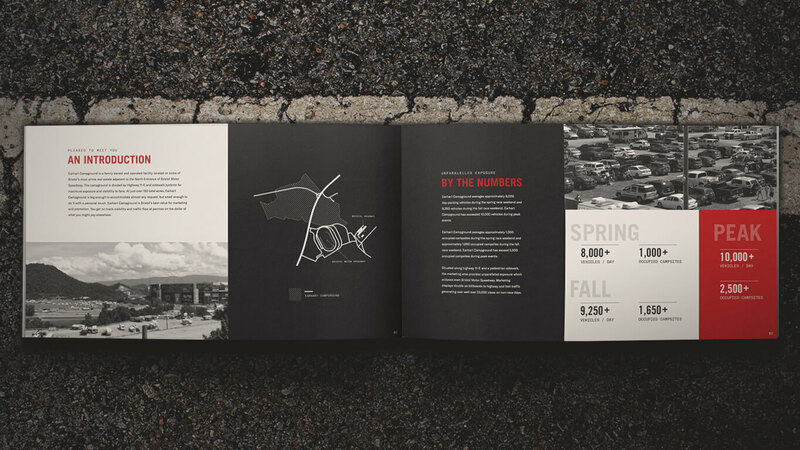 Earhart approached us to develop a whole new look that included stage graphics, parking passes and other marketing collateral for the events. 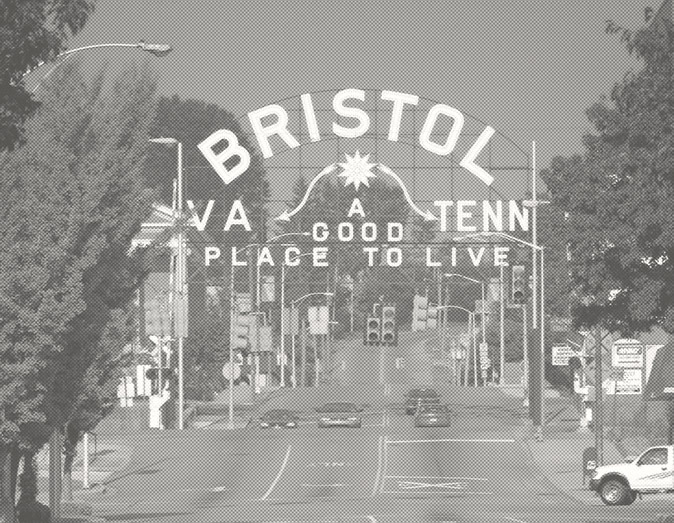 Our goal for the Rockin’ & Racin’ refresh was to capture the spirit of stock-car racing and the people who come together to make it all happen. 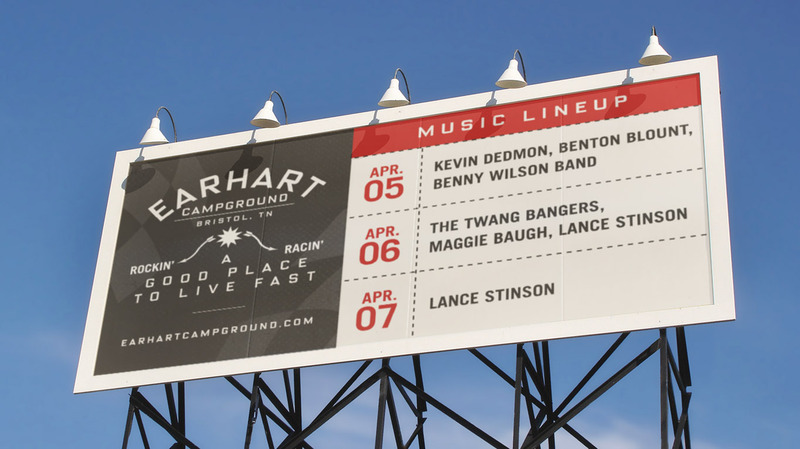 Taking inspiration from the famous Bristol, Tennessee border sign, we created designs that maintained the essence of the Earhart Campground experience without diverting attention away from the live music and entertainment that brings fans back year after year.